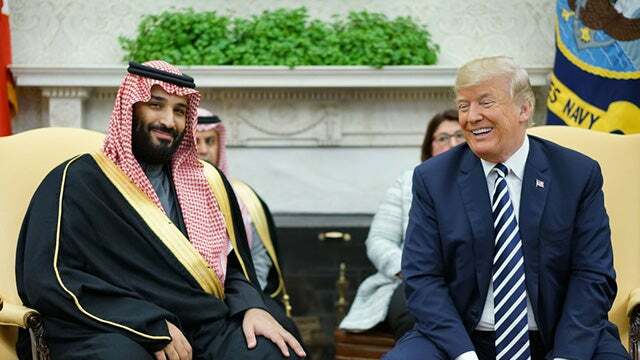 RUSH: Trump just had a little meeting in the White House, the media was in for a while, with the crown prince of Saudi Arabia, Mohammed bin Salman — MSB — is his name. He is a Millennial. He is radically changing the culture of Saudi Arabia, radically. It may not seem much to you if you’re told what he’s doing, but it’s radical. Even going so far as to publicly say so, anyway, pull back from the radical Wahhabi sect of militant Islam. Mohammad Bin Salman has made it clear that he doesn’t want the Saudi Arabia under his rule to have any relationship whatsoever with radical Islamic terror. We’ll see as time unfolds. But the news is filled with stories today that Mohammed bin Salman and Jared Kushner have formed a bromance kind of thing. They’re both Millennials. They get along. The paradigm shift in Middle East peace — you know, this is interesting, just as an aside. The paradigm or the framework under which Middle East peace negotiations have always taken place is the Palestinians over here, the Israelis here, and the allegation that the Israelis are a mean bunch of people, don’t want the Palestinians to have a decent place to live. The Palestinians don’t have their own state. The Palestinians are just a bunch of trouble-making terrorists. The Palestinians think Israel shouldn’t exist and wants to frog march ’em all into the Mediterranean. The Palestinians would like to eliminate the world of all Jews. Neighboring Arab countries and Islamic countries will not themselves absorb the Palestinians and invite them to their countries ’cause they serve a useful purpose there, being anti-Israel. But slowly and under the radar, Jared Kushner has changed the dynamic of Middle East peace. There was a meeting last week and it didn’t get reported in the Drive-Bys. Well, not widely. Jared Kushner and Mohammed bin Salman or his representatives — I think he was there — as well as leaders in Israel and other Middle Eastern countries had a meeting. The Palestinians were invited and didn’t show. The purpose of the meeting was to establish an allied relationship among all these countries against Iran on the verge of nuclearizing Iran. The Palestinians didn’t show up. So the whole subject, the whole definition of Middle East peace, at least for the time being has changed, with the great threat to Middle East peace not being Israel versus Palestine, but Iran versus the rest of the region. And it is thought that this new allied relationship — Saudi Arabia, Israel, and other nations in the region aligned against Iran — is new. And it is, that it has been formalized as a group. So, as I say, that hasn’t gotten a whole lot of coverage in the Drive-By Media ’cause they only know one narrative when it comes to Middle East peace and that is the Palestinians. And the Drive-Bys in this country are totally aligned with the Palestinians and anti-Israel and the Israelis. The Israelis in that argument are the equivalent of what they think of conservative Republicans. They’re racist, sexists, and they’re bigots, and they’re rich, and they’re wealthy, and they don’t like minorities, and they hate the poor. And the Palestinians are a bunch of displaced, poor what have you. And so they are the victims, and therefore they are the chosen side for the Drive-By Media and the American left and Democrat Party. Now that paradigm shift taking place with Israel and Saudi Arabia and others aligning against Iran is a big deal. 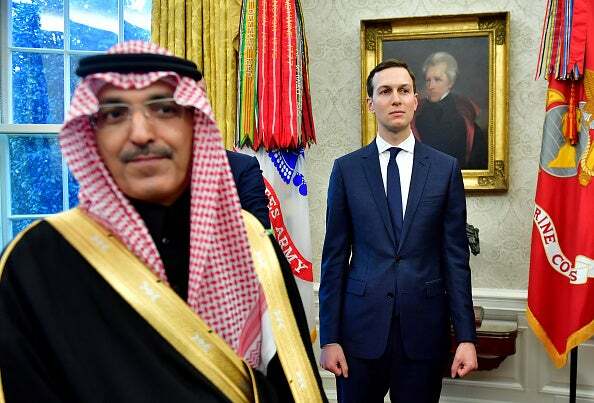 New Yorker: Jared Kushner and Mohammed bin Salman: Princes of Tech Disruption?